justthefood.com...the blog: A Vegan Thanksgiving Feast in Under an Hour? 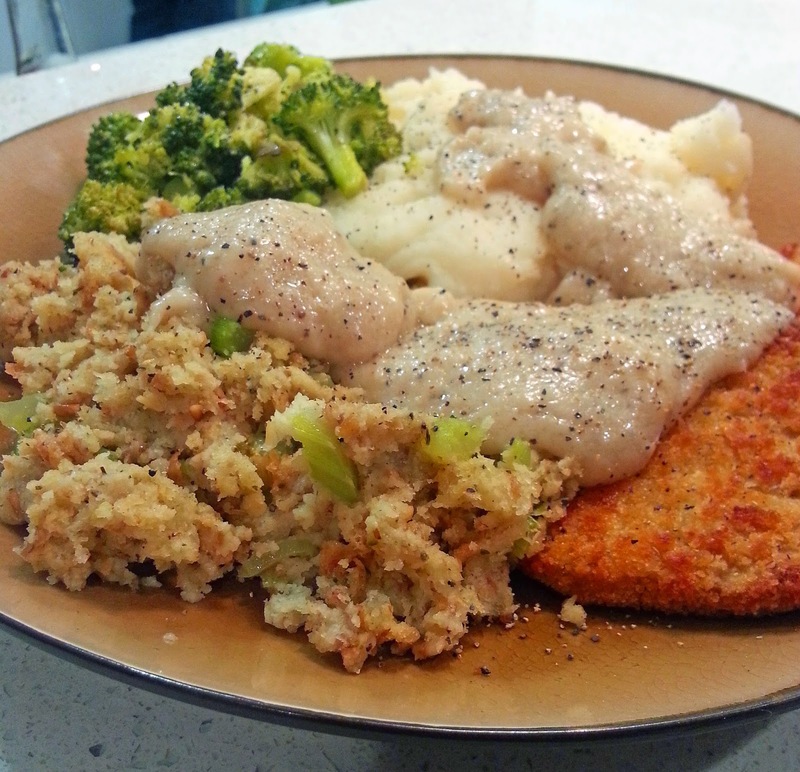 A Vegan Thanksgiving Feast in Under an Hour? Maybe you are the only vegan in the household this Thanksgiving? Maybe this is your first year hosting a Thanksgiving in your home? Maybe you aren't so surefooted in the kitchen and are nervous about pulling off the perfect meal? Or maybe you have to work Thanksgiving day (like me!) and can't figure out how you are ever going to be able to make a full on vegan feast after a full day at work? I give you a Vegan Thanksgiving Feast ready in under an hour! I did a trial run last night to make sure that it still tasted home made, because a lot of this meal is made from a package. But guess what? This semi-homemade feast had all of the flavors and practically none of the fuss of a scratch-made Thanksgiving. 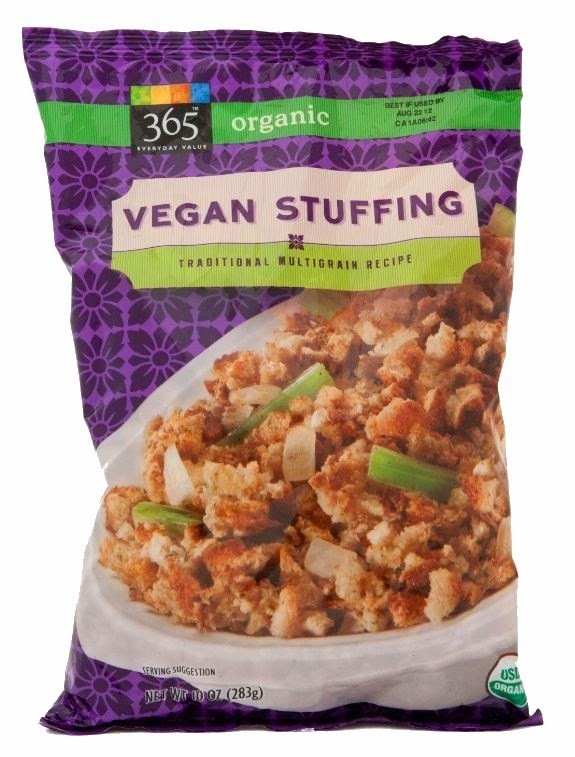 So what do you need to make a full on vegan Thanksgiving meal in under an hour? I also plan on purchasing premade cranberry sauce from the Whole Foods Market deli, as well as a premade vegan pumpkin or apple pie from the bakery, and a tub of the new SoDelicious Coconut Whipped topping. I will say I feel a little bummed out that I won't be able to make everything from scratch like I normally would, but I am so thankful for these awesome and convenient (and really gosh darn tasty!) vegan options. 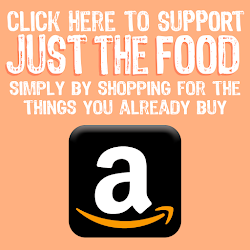 For those of you who do not live near a Whole Foods Market, or other health food store, hope is not lost! 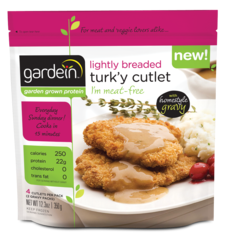 I have seen these Gardein Turk'y cutlets (as well as their stuffed roast!) at Vons/Safeway and Ralph's/Kroger's as well. 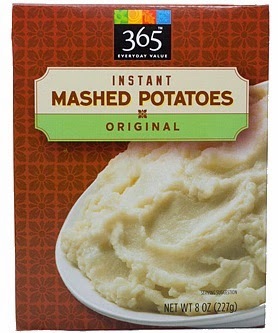 And it seems that every grocery store in the world has instant mashed potatoes, a vegan friendly boxed stuffing mix, and premade cranberry sauce (double chack ingredients to be sure!). That only leaves you with figuring out the pie! And that can be fun to make on your own the day before. My go to holiday pie is the Pumpkin Cheesecake Pie. It's pretty easy to make, especially if you use a store-bought crust, and it taste pretty great, too. 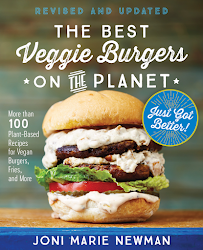 Now go forth and create a tasty vegan Thanksgiving feast! It doesn't have to cost a million dollars or mean you have to spend all day slaving away in the kitchen! 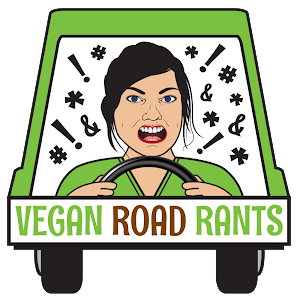 All it really means is that you will be spending more time with your family, friends, or loved ones giving thanks over a compassionate meal that doesn't revolve around a giant dead bird. Yum! I'm totally going to make something like this next week so that I can participate in Thanksgiving in spirit even though it's not a thing here! I bought my bag of stuffing mix today. Target has the Gardein cutlets as well. Veg Subs 2 Sneak Peek: Potacos!